23.11.2017 Tenth anniversary of the formation of CTF marked with an In Conversation event "Crisp Boxes to Cyberspace"
23.01.2015 Box Office service for Chesterfield Venues moves out of the Pomegranate and into the Visitor Information Centre, after 66 years of ticket selling in the theatre. 06.2014 Work begins on the ACE funded renovation of the theatre to include additional seating and digital projection facilities. 01.2013 Announcement of the award of £495K from Arts Council England for building developments scheduled for 2014. 02.2012 Start of 4th CiVIc Season of six plays in six weeks. 03.2010 Heritage Lottery Funded Pomegranate Youth Theatre production of No-one to Assist explores the history of the Chesterfield Workhouse. 01.2010 Bar refurbishment carried out with funds raised by CTF. Gala Day welcomes special guest Colin McIntyre, former Artistic Director of the Rep, for a public reminiscences session as part of the ongoing CTF Oral History project. 08.2009 Theatre licence amended to allow cinema screenings. “Brief Encounter” becomes the first film to be shown since the closure of the Corporation Theatre in 1947. 02.2009 Year long celebrations of the theatre’s diamond anniversary commence with the Six for Sixty Repertory Season. 11.2007 Chesterfield Theatre Friends Group formed to preserve, promote and protect the future of Chesterfield Theatre. 09.2007 Peter Sallis returns to the theatre for the first time since he was a member of the inaugural repertory company in 1949. 12.2006 A fully integrated production of Alan Bennett’s “Talking Heads” using one hearing and one deaf actress opens live theatre up to a new audience. 07.2006 A production of “Taming of the Shrew” by Oddsocks Theatre Company marks the start of Pomegranate in the Park, a joint venture with the newly refurbished Queen’s Park. 05.2005 The Box Office is re-sited in the foyer giving better access to wheelchair users and providing more space for cashiers. 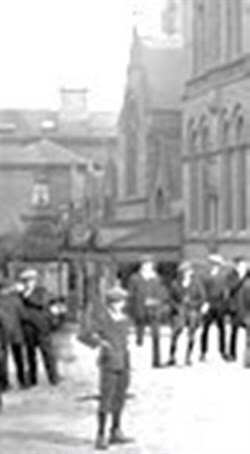 09.2004 “Chesterfield Tales”, the theatre’s contribution to the Chesterfield Market Festival, a new piece written by members of the New Playwright’s group, celebrates 800 years of the town’s history. 05.2004 “Angels Never Leave Heaven” becomes the first in-house production at the theatre since 1981. 03.2002 The first Pomegranate New Playwright’s Festival takes place, performing 14 new works in 5 days. 08.2001 Ticket selling operations reverted temporarily to their former home, under the stairs, during the re-construction of the Box Office to reflect the change of operation. 07.2000 The manual Box Office procedures were replaced by Databox, a computerised ticketing system, finally making obsolete the complex use of paper plans and coloured pencils. 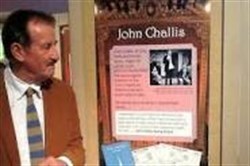 02.1999 Gala presentation of “Thanks for the Memory”, produced by former Artistic Director Colin McIntyre, opened the Season celebrating 50 years of civic theatre in Chesterfield. 01.1995 Bar Area redecorated to provide exhibition space for local artists. 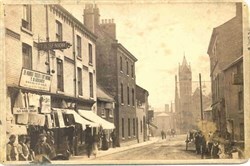 01.1994 Theatre re-seated over a three-week period after pantomime. 08.1993 Ramps constructed at theatre entrance and in foyer to improve access facilities. 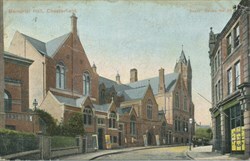 Adapted toilets to the rear of the auditorium to be shared with Chesterfield's new museum situated in the other half of the Stephenson Memorial Hall. Wheelchair lift installed to allow access to the Box Office and bar area. 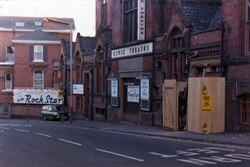 27.05.1989 Theatre closed for its first-ever major structural repairs. 20.02.1989 40 years completed with the theatre's most successful play, Agatha Christie's "Verdict". 22.02.1988 To open the 40th year of operation, the theatre repeated the first ever play "See How They Run". 10.06.1982 The Civic Theatre became the Pomegranate Theatre. 06.02.1982 Chesterfield Theatre Limited came into being with its policy of housing incoming touring companies instead of a Repertory Company mounting its own productions. 16.12.1981 Chesterfield Borough Council, as sole producers, opened its one and only production, the Christmas Show "Rock Star". 31.03.1981 With the Borough Council's withdrawal of the lease from Chesterfield Civic Theatre Ltd, Repertory Seasons came to an end. 28.03.1981 "Joseph and the Amazing Technicolor Dreamcoat" played to the theatre's record attendance - three weeks at an average of 98% capacity. 1974 The death was announced of J. H. Hodkin who had reigned as Chairman of the Board since 1948. 16.08.1965 After 16 years of 'Weekly Rep', "Lady Windermere's Fan" began a new policy of each production playing for at least two weeks. 21.09.1959 "Tunnel of Love" opened a new Repertory Season with the Company's Stage Manager/ Associate Producer - Colin McIntyre. 31.03.1958 As a young Assistant Stage Manager, Diana Rigg made her stage debut in "The Passing of the Third Floor Back". 08.02.1954 The 200th presentation, "Hobson's Choice" was directed by Gerald Glaister with the Company including Nigel Davenport and David McCallum. 17.09.1951 The 100th presentation by the Resident Repertory Company, "Queen Elizabeth Slept Here". The Company then included Margaret Tyzack and John Arnatt. 21.02.1949 First performance of first presentation, "See How They Run" by Philip King. 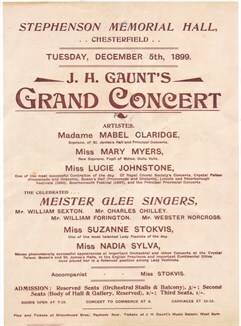 19.02.1949 Opening ceremony performed by Miss. Kathleen Harrison. 01.06.1947 Public Appeal of Guarantee fund of £5,000 organised by local amateur societies. 31.12.1946 Expiry of lease of Hall to Cinema Company. 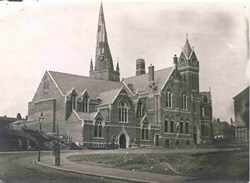 1889 The Hall purchased by Chesterfield Corporation. 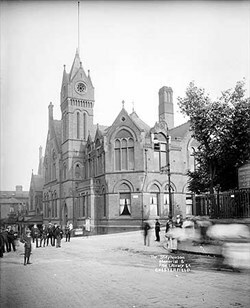 Stephenson Memorial Hall opened as a tribute to George Stephenson.